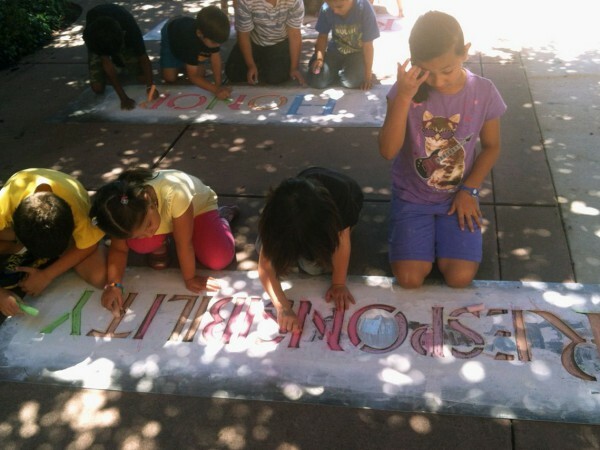 Youngsters chalk “Responsibility” during a Values Project workshop held at Kids Kamp in south Natomas last month. 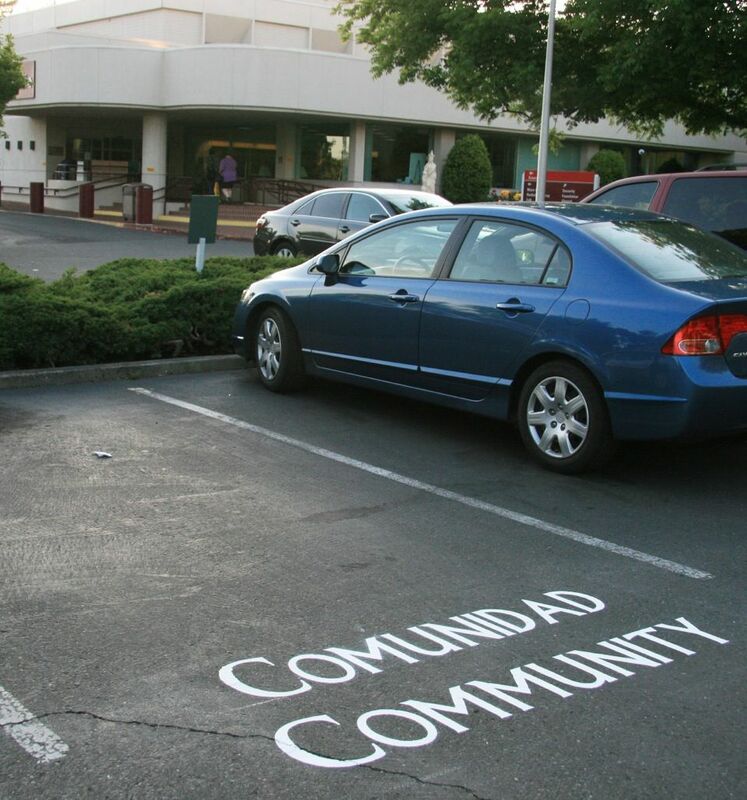 Stencils and chalk will be available for children to use in a closed off parking lot during the community Celebrate Natomas festival on Sept. 7. Artist Peter Hassen likes to promote “unity,” “tolerance” and “respect” by painting these words – and others – in public parking lots. His hope: to unite the Sacramento community with his citywide art project. “It’s a great opportunity to learn about the community and be a part of something bigger than oneself,” said Hassen of the Values Project. 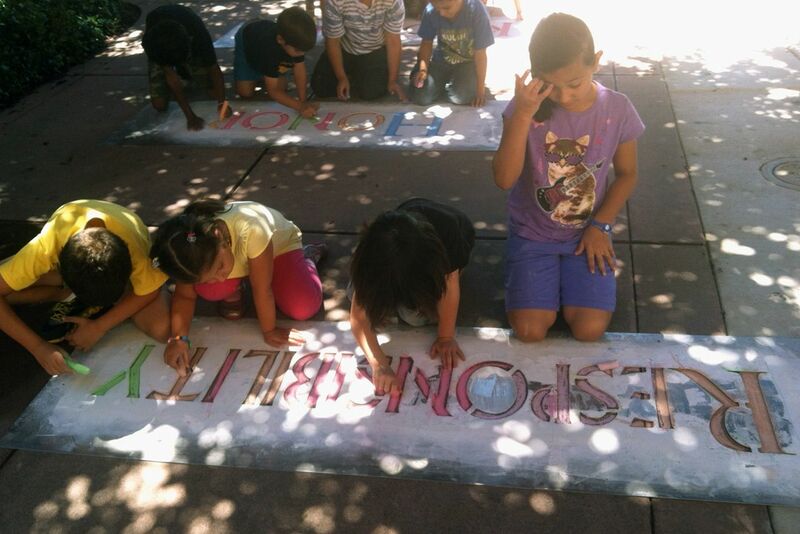 Area residents can help pick the words Hassen will paint in Natomas during a public workshop set for 6 p.m. on July 30 at the South Natomas Community Center, 2921 Truxel Road. Hassen said workshop participants will have the chance to brainstorm words which represent their beliefs, and explain why they picked a certain word. The chosen words will be painted in multiple languages. 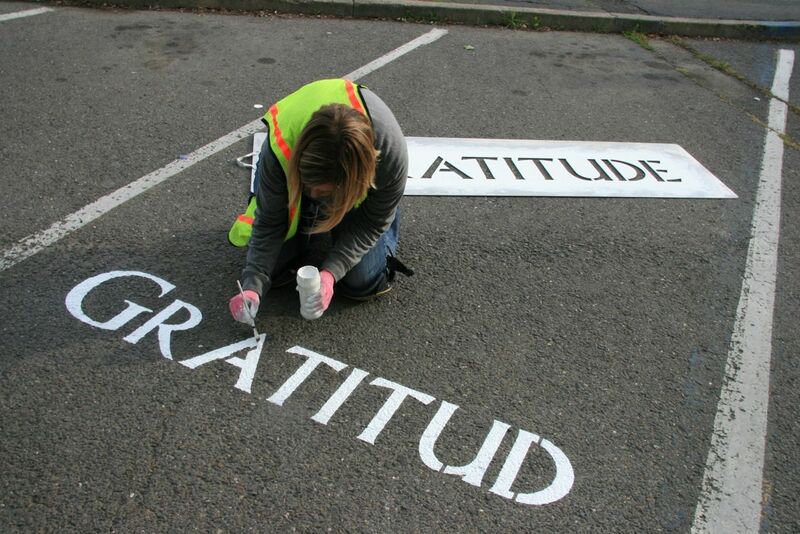 Words are stenciled in multiple languages which workshop participants help choose. Hassen started meeting with Sacramento community leaders and securing trial lots at the Boys & Girls Clubs of Greater Sacramento in February 2012. Talks with the Sacramento Metropolitan Arts Commission followed that spring. 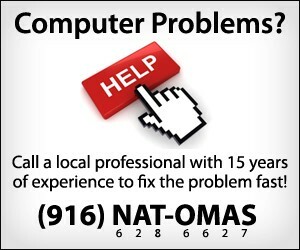 Hassen plans to start painting the South Natomas Community Center and library parking lots in mid- or late-August. He expects the Sacramento project will be fully installed by November 2013. City Councilmember Steve Cohn suggested Hassen hold a workshop in south Natomas, an area he represents, because of its strong sense of community. “The workshop will allow people to meet and talk about the values shared in the community,” Cohn said. In addition to the lots in south Natomas, Hassen is also painting in church, school and private parking lots in other areas of Sacramento. He’s in talks with local non-profit organizations such as W.E.A.V.E. and Sacramento Food Bank about expanding the project to their sites. The Values Project is paid for through donations, crowd sourcing, grants and businesses. 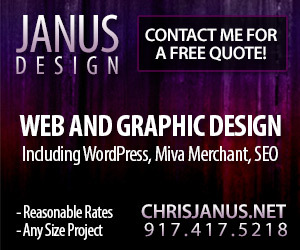 A $100 per word fee pays for a business, public school or non-profit to participate. The Midtown Business Association endorsed the Values Project and is providing matching funds. Cohn’s office has donated $300. Money covers costs such as paint and other materials; the artist donates his time to do the painting. Hassen first started the Values Project in Napa where more than 500 words were painted in 63 lots. Sacramento is his second city. “People feel Sacramento has been unified in the past, and they want it to be unified in the future,” said Hassen. Michel Huizar, the constituent coordinator for Sacramento Vice Mayor Angelique Ashby and north Natomas representative, attended a Values Project workshop held during a Natomas Community Association meeting last month. “Values” are ideas and beliefs shared across cultures, said Huizar, who was born and raised in the Northgate area of Natomas. He feels the art project is interesting because of Natomas’ diversity. The Values Project is meant to help show “people they have a lot more in common with each other than they think,” Huizar said. Councilman Cohn said he’s hopeful a display of values in a public place will get people to think about what each word means to them. The July 30 workshop is open to all ages. A cookie social and open workshop is also planned for 2 p.m. on August 10 at the South Natomas Library, 2901 Truxel Road. Anyone interested in the Values Project is encouraged to get involved by attending the workshop, contacting artist Peter Hassen at [email protected], by checking out the Values Project Facebook page at https://www.facebook.com/TheValuesProject or website at http://thevaluesproject.weebly.com/. The Values Project: a low-cost, upbeat way to get communities talking about positive values.